Do you want to kick-start your career with an ethically-minded organisation empowering farmers and workers around the world? Exciting entry-level opportunity with Fairtrade ANZ - no previous experience required! $45,000-$55,000 + super and international travel opportunities! It's okay, we get this question a lot. Put simply, Fairtrade is about stable prices, decent working conditions and the empowerment of farmers and workers around the world. Fairtrade Australia and New Zealand (ANZ) is a dynamic and ambitious development organisation committed to tackling poverty and injustice through trade. Fairtrade is best known as the independent, not-for-profit body behind the Fairtrade Mark, a means for assuring consumers that their purchase helps disadvantaged farmers and workers in developing countries secure a better deal. The Fairtrade Mark is the best known and most trusted ethical label amongst consumers worldwide. The global Fairtrade network is 50% owned by producers representing farmers' and workers' organisations and there are more than 2,500 products worldwide bearing the Fairtrade Mark, including coffee, chocolate, cotton and gold. 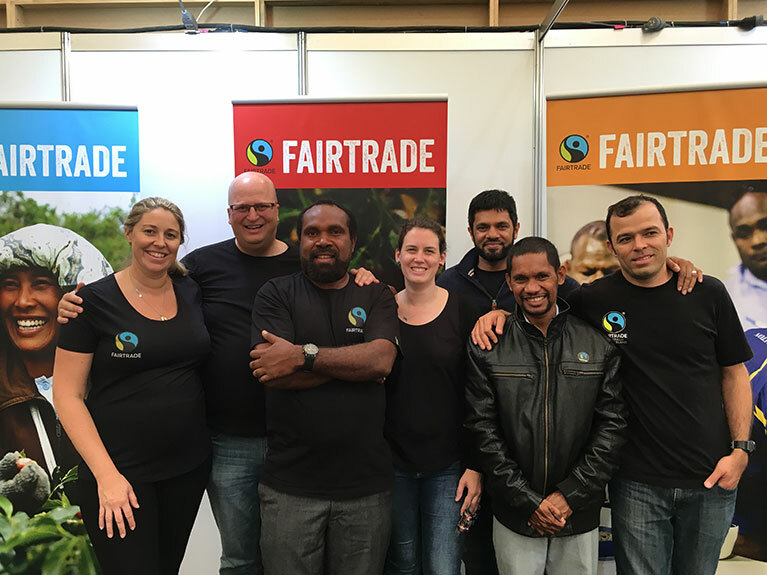 Fairtrade ANZ has an exciting, entry-level opportunity for a Licensing Officer to join their small, dedicated team, based at Docklands in Melbourne. Reporting to the Licensing Manager and working alongside the Certification and Compliance Officer, this role will see you reviewing and processing all license applications; issuing Trade Mark licensing and certification agreements and maintaining all product registration information through an online system. Ensuring that misuse of the FAIRTRADE Mark is recognised, investigated and effectively resolved. Do you have what it takes to join the Fairtrade team? The ability to work autonomously with top-notch written and oral communication skills. If you DO happen to have comparable work experience, or experience in project management, that will be a huge plus! The most important thing you need is a great attitude and a willingness to learn. You will have an awareness of international trade issues, and a motivation for the cause of Fairtrade. This is a rare opportunity to kick-start your career with a dynamic, consumer driven, international movement that links disadvantaged producers in developing countries with businesses and consumers in the developed world. A competitive, entry-level salary will be on offer circa $45,000-$55,000 + super, negotiable with skills and any experience you may have. You will be well-supported by your team as you learn the ropes and Fairtrade ANZ is also passionate about career development for their people to expand upon their existing skill and experience, meaning you will get exposure to some exciting opportunities including international travel to attend global Fairtrade conferences! So what are you waiting for? If your values align with those of Fairtrade and you want to kickstart your career with an ethically-driven, global organisation then don't wait - apply now! Your IP address (18.234.111.56) has been logged. 1488 Hits.